Mission: ISAE exists to support and strengthen the success of association professionals and the associations they serve. We provide the state’s leading educational and networking events designed specifically for the needs of association executives. Our members share their professional leadership and wide variety of skill sets with many outstanding associations in Indiana. The associations our members work at serve many types of professions, industries, societies and social organizations. Collectively, they represent hundreds of thousands of members throughout the state, country and world. ISAE is managed by Raybourn Group International, an accredited association management company (AMC) who has led associations with integrity and innovation since 1988. ISAE is overseen by the Board of Directors, in addition to the support from ISAE staff. Develop programs and services designed to support the career of association professionals. Serve as a knowledge broker to benefit the individual member. Develop leadership skills of our members that will benefit the ISAE community. Develop partnerships with appropriate entities to increase resources and access. The Government Affairs Committee monitors legislation that affects association and society operations. Members of the committee work to enhance the awareness of legislators to the purposes and concerns of associations. ISAE is also a source for education to foster professionalism and competence in government affairs and lobbyist activities. 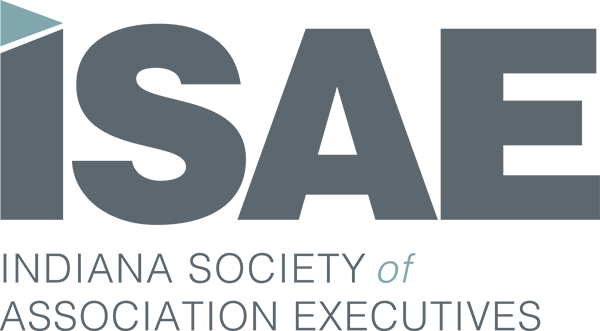 ISAE’s affiliation with the American Society of Association Executives (ASAE) provides members a broad base of resources. Access to information exchanged via allied society programs, a means of evaluating national trends and forecasts and a linkage to national information banks are just three ways this affiliation benefits members. Additionally, ISAE is able to monitor national legislation impacting association and society operations through our affiliation with ASAE.